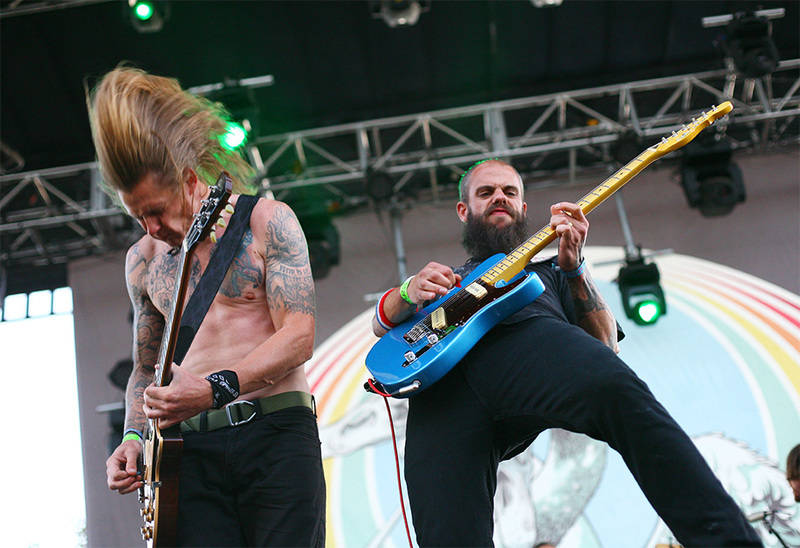 It formed in mid-2003, founded by former members of the punk/metal band Johnny Welfare and the Paychecks. 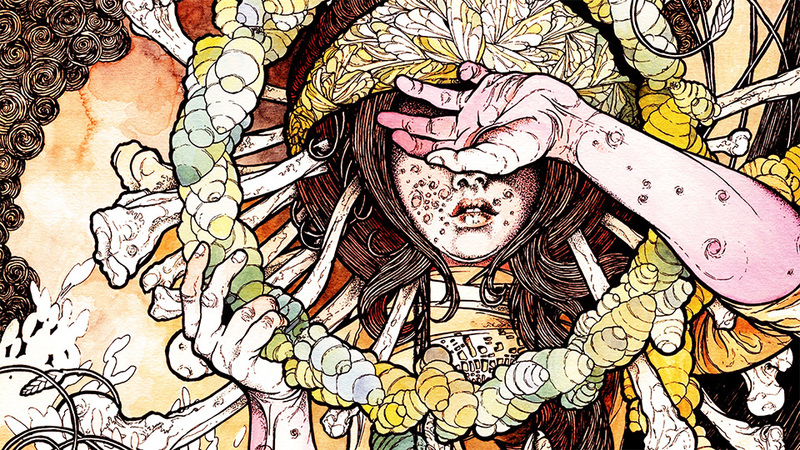 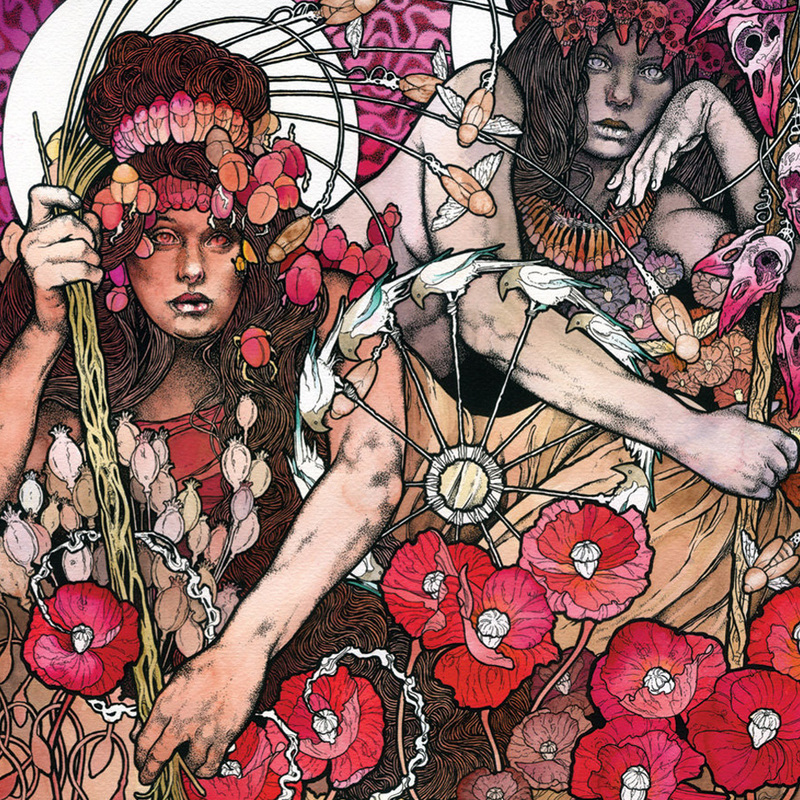 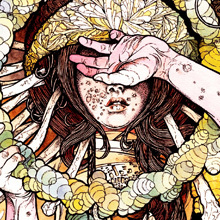 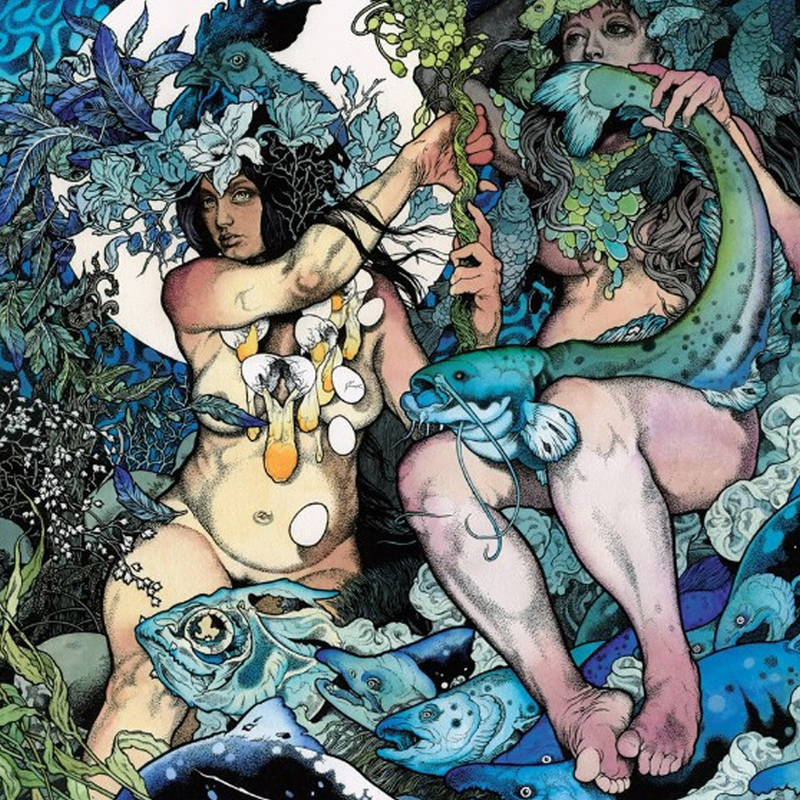 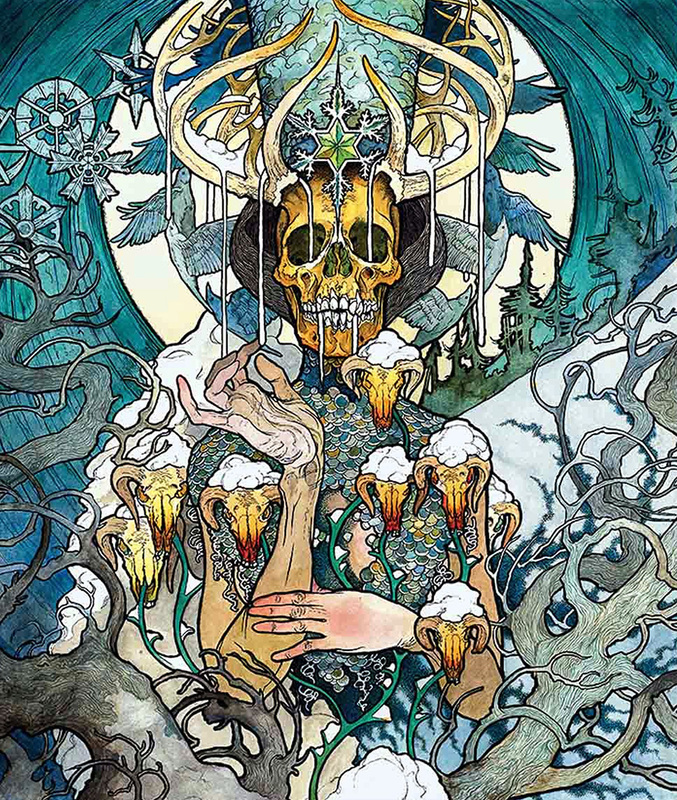 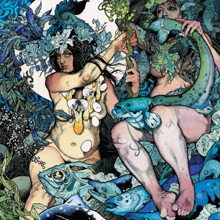 Singer John Dyer Baizley creates the artwork for all Baroness albums, and has done artwork for other bands. 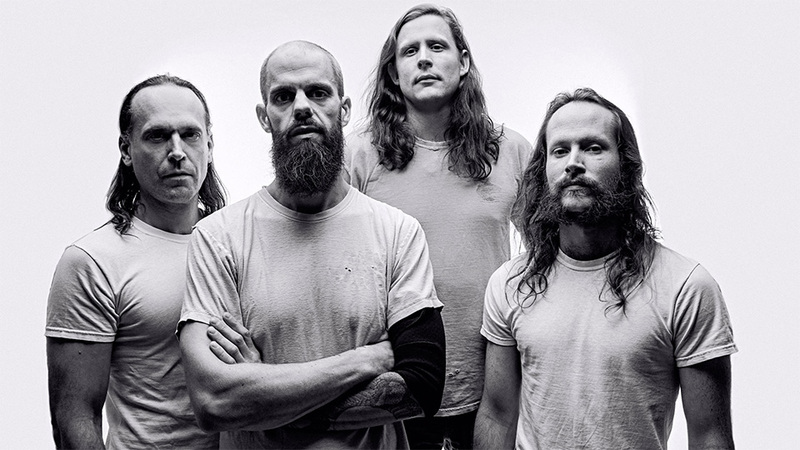 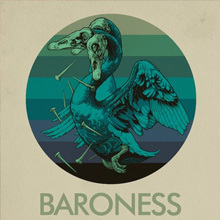 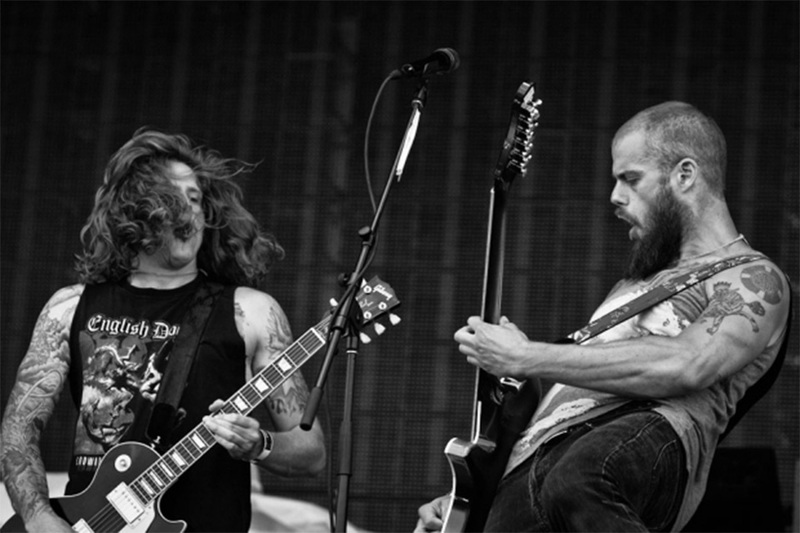 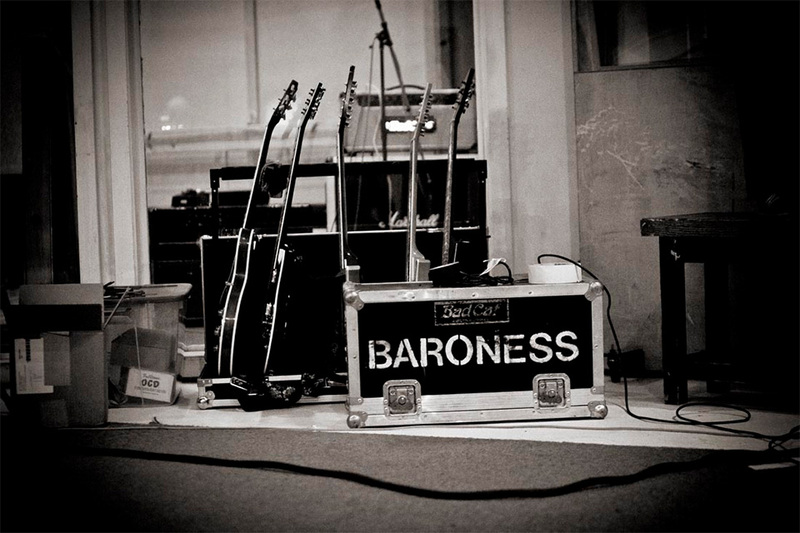 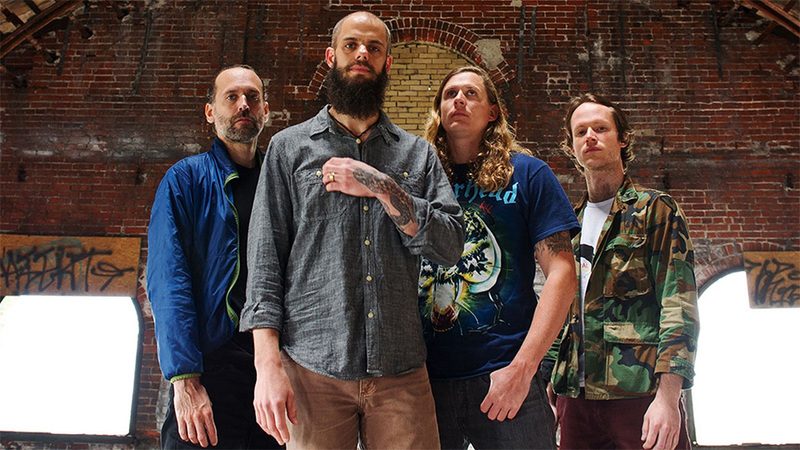 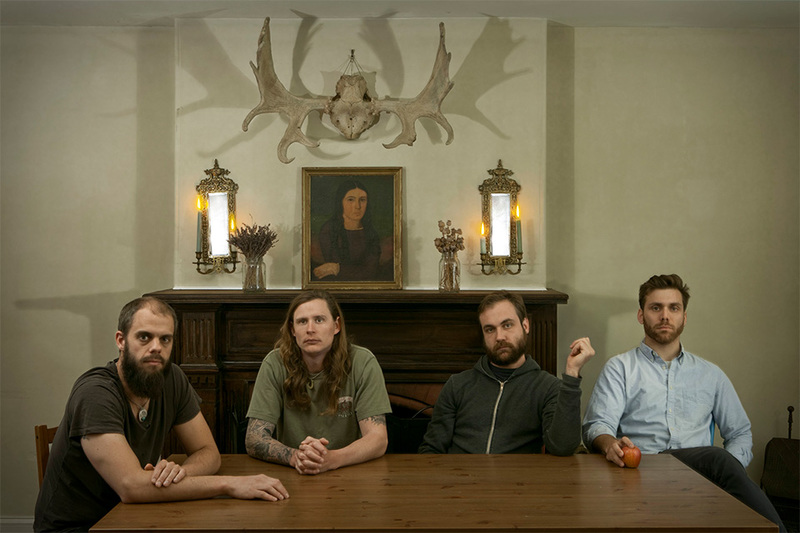 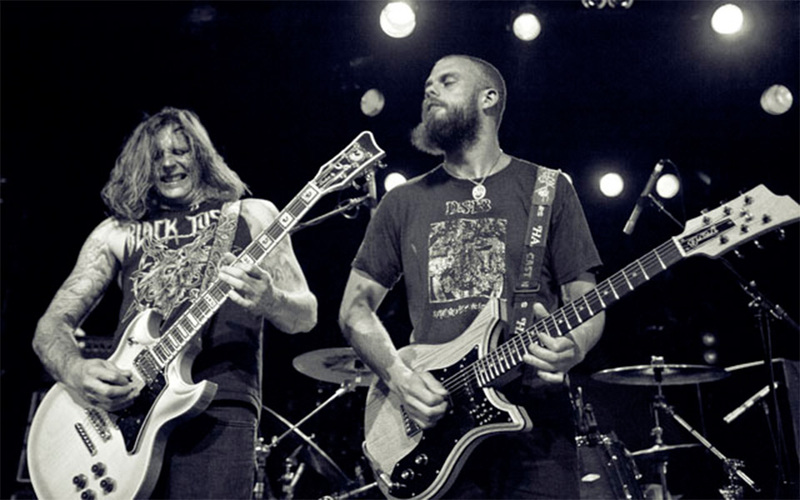 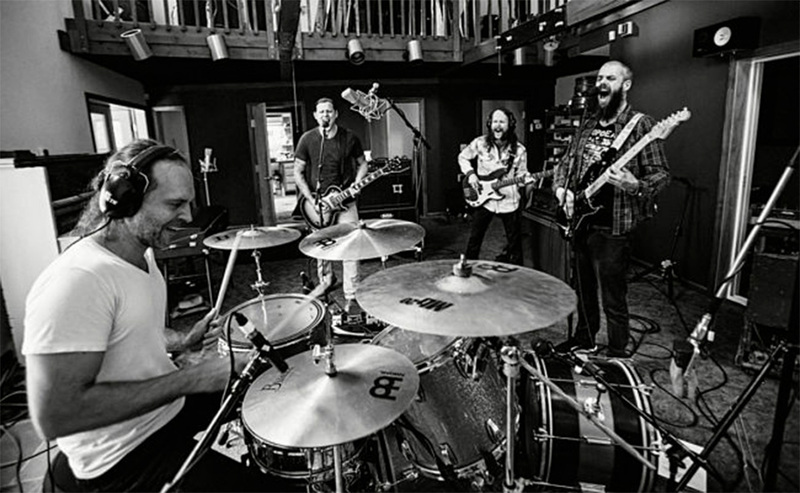 Baroness started recording their first full-length album in March 2007. 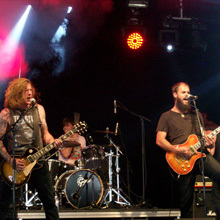 The Red Album was released on 2007 and met positive reception. 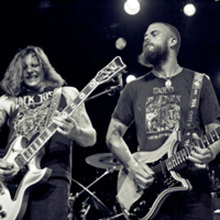 On 2009 they record their second full length album, Blue Record, that was released via Relapse Records on 2009. 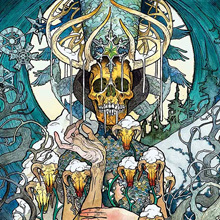 On 2012, the single "Take My Bones Away" from the new album was released over YouTube, along with an album teaser. 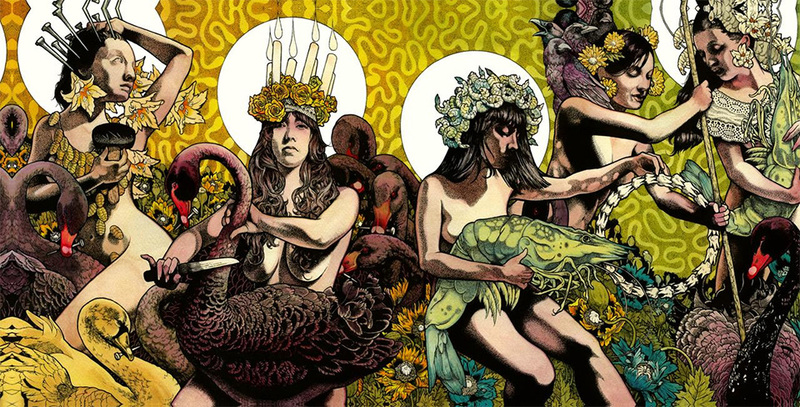 This album, Yellow & Green, was released on July 2012. 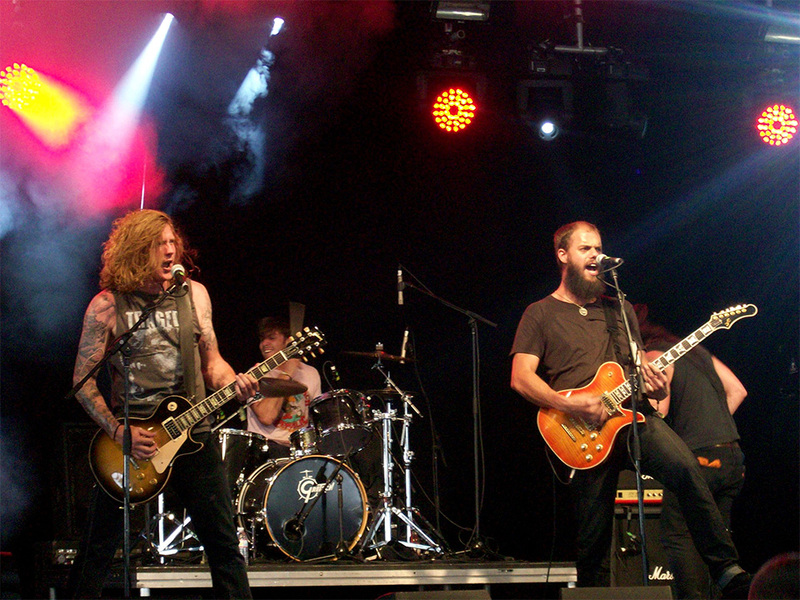 On August 15, 2012, nine passengers were injured (two seriously) when the German-registered coach in which the band were traveling fell from a viaduct near Bath, England. 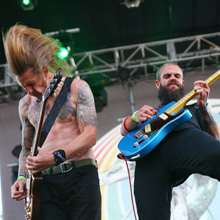 As a result of the crash, frontman John Baizley suffered a broken left arm and broken left leg. 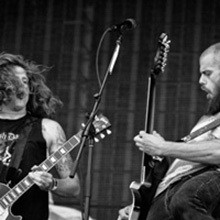 Allen Blickle and Matt Maggioni each suffered fractured vertebrae. 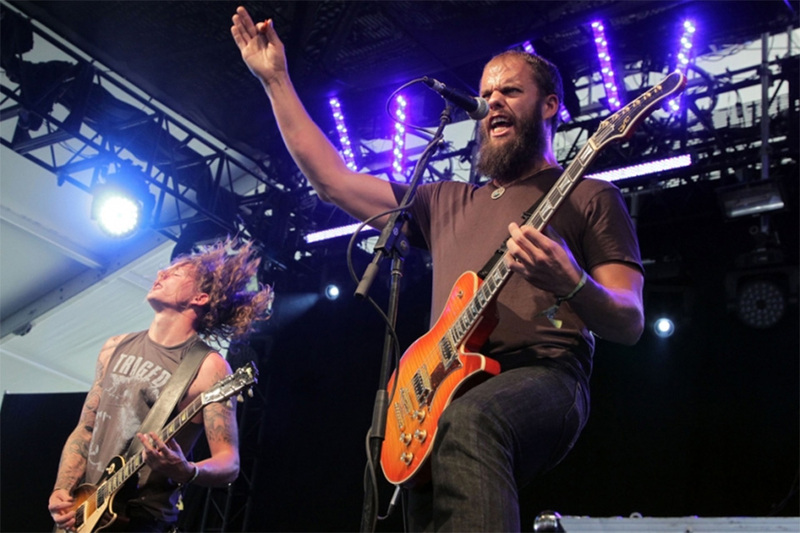 Pete Adams was treated and released from the hospital on August 16, 2012. 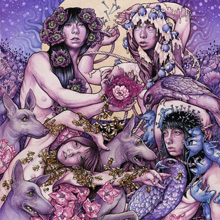 On August 28, 2015 towards the end of a two week tour in Europe they released the song "Chlorine & Wine" and announced that their new album Purple would be released December 18, 2015 on their own newly formed label Abraxan Hymns.